“Many thanks to all of our sponsors, golfers and social participants for helping us make the 7th Annual Calvert Masters a huge success! It’s such a unique event for those of us who grew up or currently live in Calvert to come together and support the Janeway Hospital – and have a fun time doing it!” says Tim Murphy, member of the organizing committee. 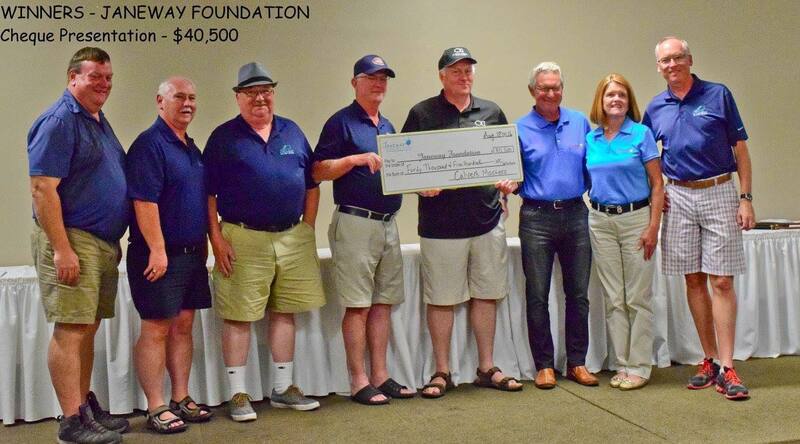 All net proceeds will assist the Janeway Foundation to acquire the newest pediatric medical equipment, continued education, life-saving research and vital programming for pediatric health care at the Janeway Children’s Health and Rehabilitation Centre. 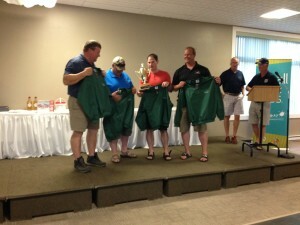 Winners of the much coveted Calvert Masters trophy and green jackets was the “Dirty Marsh” community team. Congratulations!